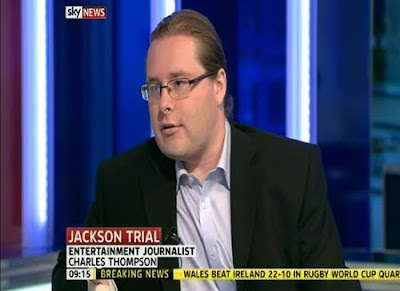 On June 25th 2009, in the hours after Michael Jackson passed away, I was contacted by several rolling news channels who wanted to interview a 'Jackson expert' live on-air. 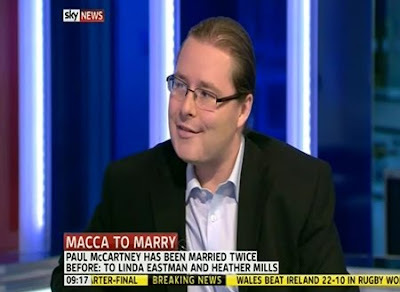 By the morning of June 26th, I had appeared via telephone on BBC News 24, BBC World Service and Sky News. 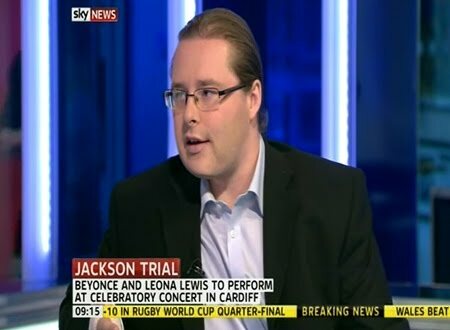 Since then I hadn't heard much from any of them - perhaps because in the weeks after Jackson's death I declined a few appearances - but this Friday I received a surprise phone call from Sky News, looking for somebody to appear on-air the following morning and chat about Saturday's 'Forever Michael' tribute concert in Cardiff. Yes, Sky News became the latest in a long line of media organisations to misspell my name. 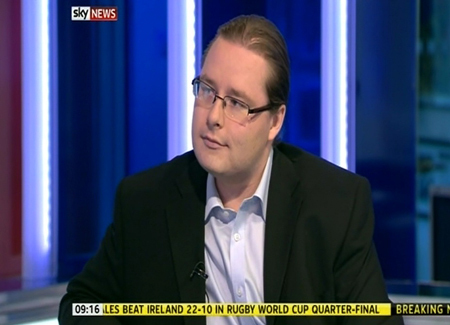 But never mind. 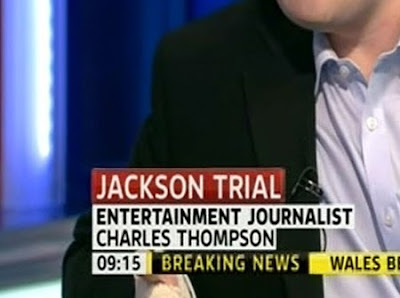 As live TV goes, it's a minor complaint. 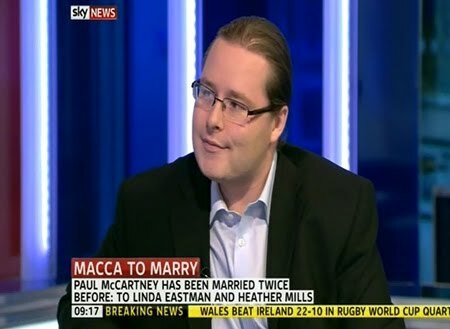 I was blindsided by a few questions on Paul McCartney's wedding, about which I knew nothing except what I'd briefly read on the front page of the Mirror in the Sky News green room ten minutes previously. Fortunately, the McCartney questions weren't too probing. I think I got away with it. I will post video of my appearance shortly.